This Monday I had presented three basic web marketing concepts with illustrations. I hope you really like this small story. You see a beautiful girl at a party. You go to her and say "I'm rich. Marry me." You go to a party with friends and see a beautiful girl. 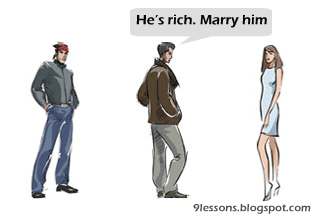 One of your friend goes to her and say, "He's rich. Marry him." You see a gorgeous girl at party. 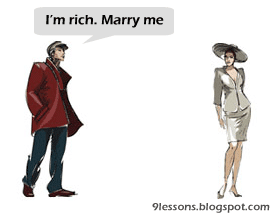 She walks up to you and says, "You are rich. Will u marry me." These are the only ways possible.. "http://www.bpojobsathome.com"
Third Party makes things clean.! !